We are down to the last two entry's in this "Top 10 Anime Women" Series I started a few months ago. Clearly, I've been putting off these last two, just because of how much I want to cover with each of them. 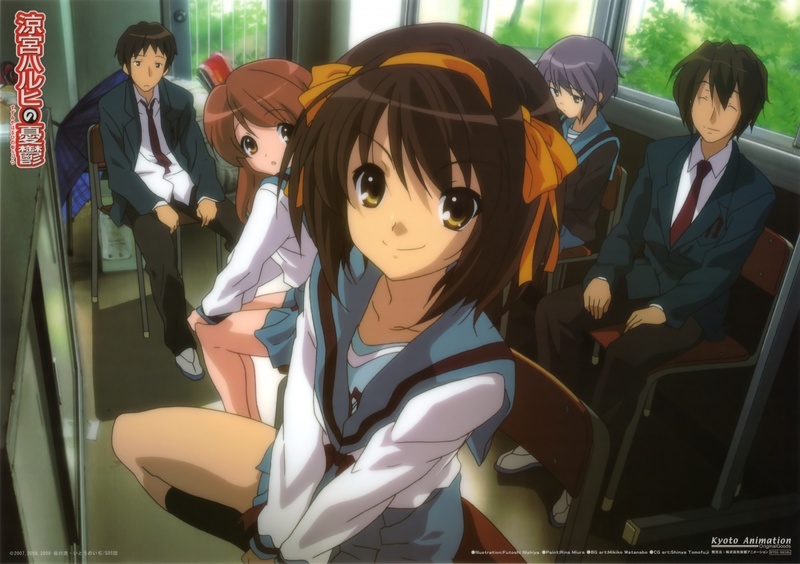 Background: Haruhi might seem like your every day frustrated high school girl, but there is something much different about her. She is God. Well maybe not God, maybe just a powerful Esper, or a living singularity. But whatever she is she has the ability to alter the world around her through her subconscious. 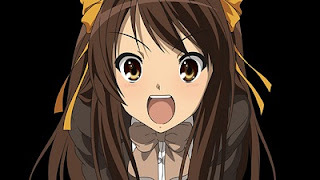 Haruhi doesn't know this, of course, she is just angry at how boring her life is. It is up to the people around her, most notably Kyon, to make sure she never figures out about her power, otherwise the world might be doomed. 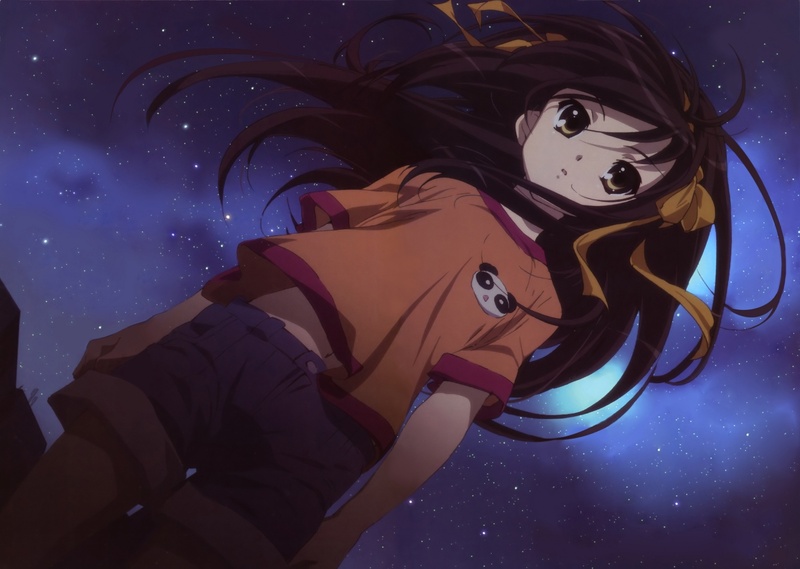 Why she is on this list: The Melencoly of Haruhi Suzumiya was a revolutionary anime. Some people might take issue with that statement, but as I said before it is a popular anime because it is such a good show. Before Haurhi, television anime, was mostly "monster of the week" or "magical girl with reused stock transformation sequences". Anime was all about flashy specticales with super powers and transformations. Then Haruhi came and turned the genre on it's ear. Since then, Haruhi has been the main progenitor of moe culture. So many see it as the anime equivalent of Saten, with moe as it's unholy hell spawn. As I have had to defend moe a lot on this blog, I will do so again. Moe, is to love an anime character. It isn't a genre of anime. Slice of Life is a genre, moe is not. 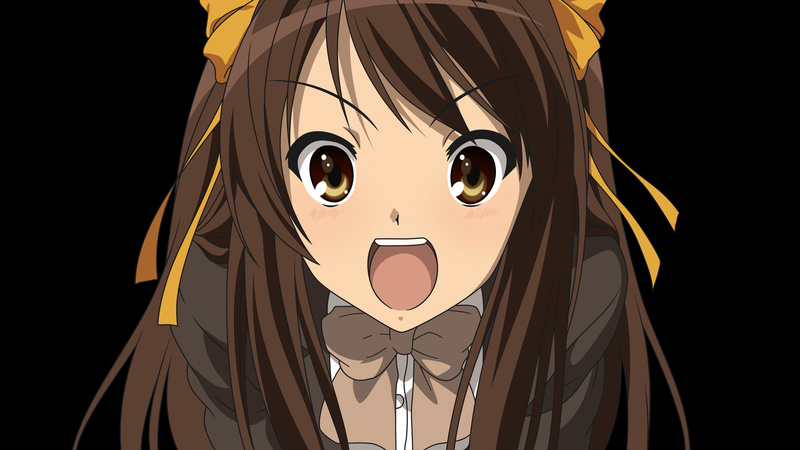 Haruhi started the moe craze because when she showed her face in the second episode of the TV show, millions of Otaku fell in love. Love with a 2D character = Moe. That is the extent of it. And while I did find Haruhi to be quite an appealing character, it was the show's concept that drew me into it. It wasn't a show about "in your face" science fiction. It was a very clever sci-fi show where all the supernatural stuff happens in the background. It happens in a way where you could even say, "Hey this kind of thing might be going on right now". Don't get me wrong, I love crazy explosions, and Star Wars, Aliens, etc type Sci-Fi as well, but sometimes I like the calmer affairs. Something like the novel, Never Let Me Go, which was just made into a film, to me is on the same lines of Haruhi. Of course they are very different in tone and quality of writing, but they are the same type of science fiction. It's the world these characters live in, but it isn't what drives them through their daily life. The supernatural is there, and they deal with it when they need too. It also makes the scenes where there is explosive action stand out and become that much more rewarding, as opposed to having every episode with characters throwing fireballs at each other. The bloody battle between Yuki and Asakura is so memorable because there isn't a ton of those types of scenes throughout. But here I am going on and on about the show, when this is supposed to be about the character of Suzumiya. Of course none of this show could work if she wasn't one of the greatest anime protagonists in history. 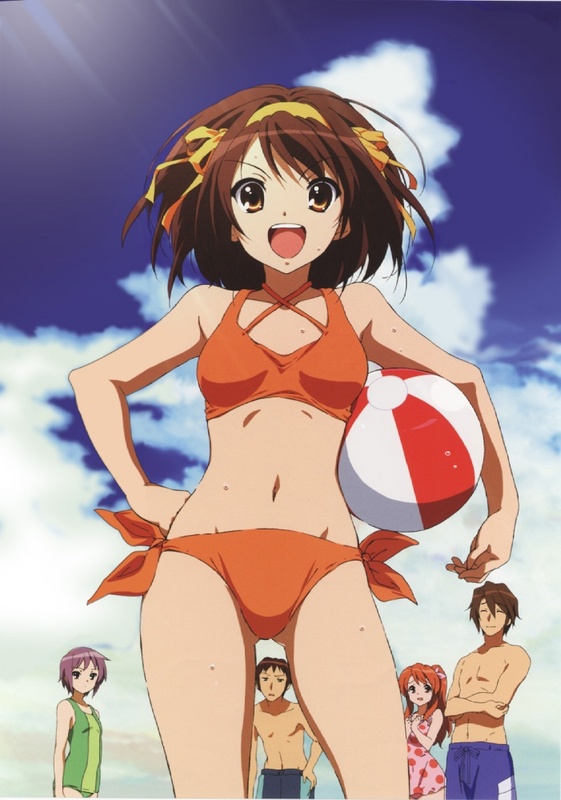 The show would fall flat if Haruhi was just as flat. She is a complex character, that you never really know what she is thinking. She is smart, brash, eccentric, outgoing, ambitious, emotional, bipolar, and just a little bit sweet. All these qualities I've listed double as both her greatest strength and her biggest weakness. Any character that can't be simply defined by a word or a stereotype (like so so many anime characters out there) is a great character. The "sweet" moments I mentioned above are what makes her work her way into your heart. Most of the time she is "balls to the wall" full of ambition with her next totally insane plan, but in an instance where Kyon tell her she looks good in a ponytail, only to see her wearing a ponytail in the next episode. Those are the endearing times where we see her humanity, and that she really is a normal teenager who wants to be loved. And because of that you can't help but love her. Haruhi was number one on my list for a long time. Pretty much ever since I watched the first episode. Then Endless Eight happened. Now I'm not one of these people who got so pissed at Endless Eight that I stopped watching the show, or wrote angry tirades on ANN. I just watched two episodes of it and went on. But the negativity surrounding the whole debacle did wear on me a little bit, and as a result Haruhi dropped slightly in favor. But I haven't seen the movie yet, so she still has a chance to work her way back to the top spot. In many ways I've be waiting to do this article just because I knew this section would be much longer than other Seiyu's in past entries. 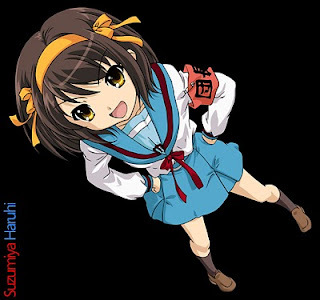 When I first got into Haruhi, and decided to look up who was the voice of Haruhi Suzumiya, like I do most characters I like, I never thought it would take me down the path it took me. If I had been born a Japanese Otaku, my love for Aya Hirano might have led to possible stalking and a restraining order. I haven't fallen so hard for a celebrity since I was a teenager watching Natalie Portman in Phantom Menace. I mean here was an anime character I absolutely adored, Haruhi, and her real life voice actress was just as beautiful and quirky as the character. It was too good to be true. And it was the closest thing to having Haruhi exist in this plane of reality. Aya became the first Seiyuu whose career I actually followed. I watched some of her anime before Haruhi, such as Death Note, and Kiddy Grade (horrible anime btw), and after Haruhi I've followed her through a majority of her work, often by accident, such as Lucky Star, Marcross Frontier, Bakemonogatari, Queen's Blade, White Album, Seikon no Qwasar to name just a few. Like most Seiyu's these days she is also an accomplished musician and has had a few albums released, as well as hit singles. I had the pleasure of being in Japan when Riot Girl was released. It's been rumored that she is giving up being a Seiyuu. When this was announced, most Otaku went into rage mode. However, if you see how much she works, and how much she is scrutinized by her "fans", it is no wonder she wants to possibly call it quits. She was lampooned so bad by the people who claim to love her, just for wearing a bathing suit upside down. At some point I also would say, "It's not worth it." If anything I think she will just cut back on the number of roles she takes. Right now she is rivaling Megumi Hayashibara for the hardest working woman in voice acting, and I'm sure it is taking its toll. I have little to no doubt that she will always voice her main characters such as Haruhi, Naneal, Konata if asked to do so. We just won't see her playing side characters anymore. Regardless of what her future is, I always hope she comes out on top because she really is an amazing vocal talent and it would be a shame to see it wasted. Daft Punk Video/Trailer for Tron Legacy ..